Put your washers in the air and wave them like you just don't care! Wave Washers are important when it comes to eliminating the side play in cranks or pre-load angular contact bearings. 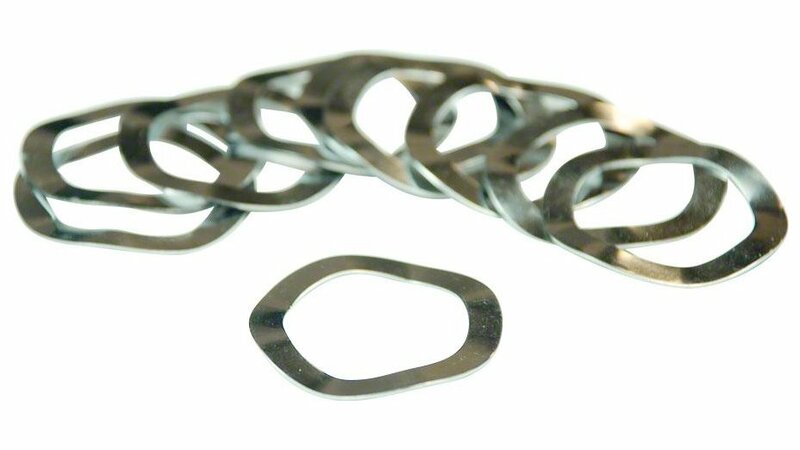 The Wheels Manufacturing Wave Washers is made of steel and has an uncompressed thickness of 2.1mm and a compressed thickness of 0.5mm. It comes in a pack of 10 and there is an option for 22/24mm cranks and 30mm cranks.